This is the US DVD cover artwork. 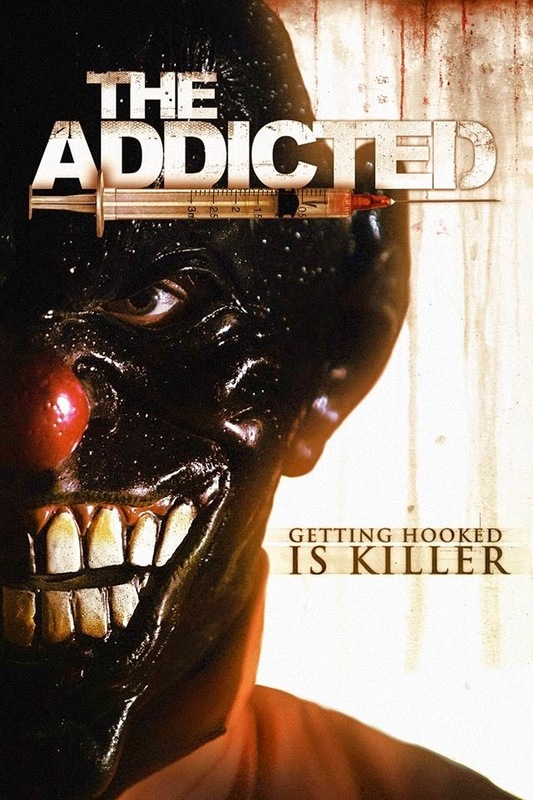 On the 24th June, Revolver are releasing the DVD and VOD versions of 'The Addicted' in the United States. It'll be really interesting to see how it does over there, especially being available in Walmart, which as many of you know, is a pretty huge retailer. I shot this back at the end of 2011 and it was the first time i'd used the Sony FS100 with the Atomos Ninja. Amy Wilson was the Camera Op and Ian Holmes was the Gaffer and special FX guy. I spent a big chunk of 2012 working on the post production (as did Jon Atkinson) and this was the last feature i edited on FCP7. If you're in the USA, pick up a copy from Walmart as of the 24th June... or look out for it on iTunes and NetFlix.